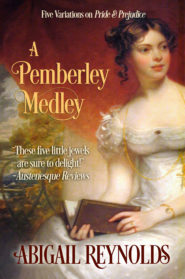 The worlds of Jane Austen and the Baroness Orczy combine in a swashbuckling tale from the author of The Three Colonels. Captain Frederick Tilney, dashing cavalry officer and rakish heir to Northanger Abbey, is interested only in fencing and carousing. That is, until he meets the girl of his dreams, the lovely and intriguing Violet Blakeney. However, her father is not convinced of Frederick’s pledge to reform and the officer is banished from Violet’s presence. The baronet has a will of iron, for he is none other than Sir Percy Blakeney—the retired Scarlet Pimpernel! Now, during the Hundred Days Crisis, an evil from the Pimpernel’s past menaces the Blakeney family while Sir Percy is crippled by age. Frederick must convince the baronet to accept his assistance in accomplishing the impossible—take on an entire country to recuse the girl they both love. Book Two of the Jane Austen’s Fighting Men Series.